Spinal stenosis leads to chronic lower back or neck pain that can become severe and radiate into your legs. 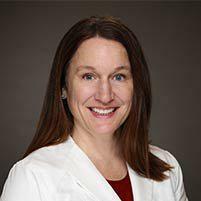 Dr. Carrie Shulman at The Florida Center for Minimally Invasive Surgery focuses on relieving your pain and restoring movement. She starts with conservative treatment, then considers minimally invasive surgery if your symptoms don’t improve. Please don’t continue to suffer with pain or limited movement. Call the office in Clearwater, Tampa Bay, Florida, or schedule using the online booking tool. If you could look down through the vertebrae stacked together in your spine, you’d see an opening in the middle that creates a protected channel for your nerves. Spinal stenosis occurs when that opening, the spinal canal, narrows. You can develop stenosis in your neck (cervical stenosis), but it most often occurs in the lower back, where it’s called lumbar stenosis. Herniated disc: Over time, the discs between each vertebra dry out and degenerate, allowing the gel-like inner portion of the disc to escape through its tough outer covering. This creates a bulge, or herniation, that narrows the canal. Bone overgrowth: Osteoarthritis leads to excess bone growth, or bone spurs, that can affect the spinal canal. Thick ligaments: Ligaments that support your spine can become thick and stiff as you get older, making them bulge into the spinal canal. Vertebral displacement: A condition called degenerative spondylolisthesis occurs when a disc slips out of place, displacing the vertebra and narrowing the spinal canal. After a thorough examination, Dr. Shulman starts treatment with conservative options, such as anti-inflammatory medications to reduce swelling and pain, and physical therapy or prescribed exercises to strengthen and stretch your spine. For more severe pain, an epidural injection that targets the affected part of your spine effectively diminishes swelling and pain. If your symptoms don’t improve with conservative treatment, you may need surgery. Dr. Shulman specializes in minimally invasive surgery, which is performed using a small incision that causes less tissue damage and promotes quicker recovery. Please don’t continue to suffer with back or neck pain. Call The Florida Center for Minimally Invasive Neurosurgery, or book an appointment online.